Sharing the knowledge of carving spoons and related handcrafts, while creating an inclusive gathering for all. Celebrating the 12th year of Minnesota’s premier wood spoon carving event! You can also find up-to-date information on our Facebook page. Go to www.facebook.com and search “The Spoon Gathering”. If you would like to be added to the email list for updates and notifications, please email the school at mvas@fedteldirect.net. Pre-event Spoon carving Classes. Please click on the title for the full description. Full Schedule of Demonstrations to be posted. Subject to change. The seed for a unique green woodworking event was planted more than a decade ago by artist and former MVAS spoon carving instructor, Frank Foltz. 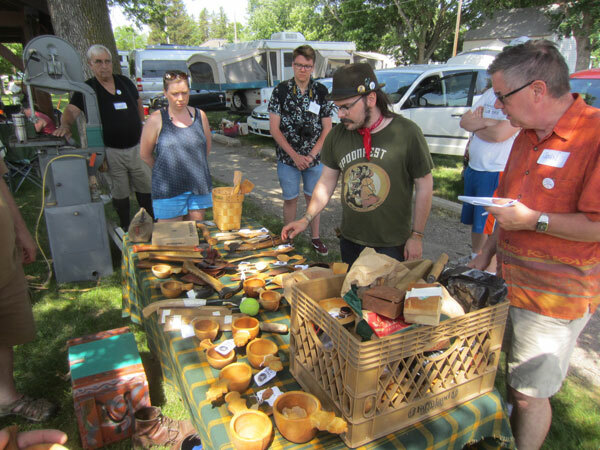 Frank and the early organizers of the Spoon Gathering envisaged the creation of an annual gathering that would bring together artists, spoon carvers, and enthusiasts of the humble wooden spoon. What started as a small gathering of spoon carvers and enthusiasts in St. Paul has grown into a vibrant and entertaining 3-day festival of carving, friendship, and food. 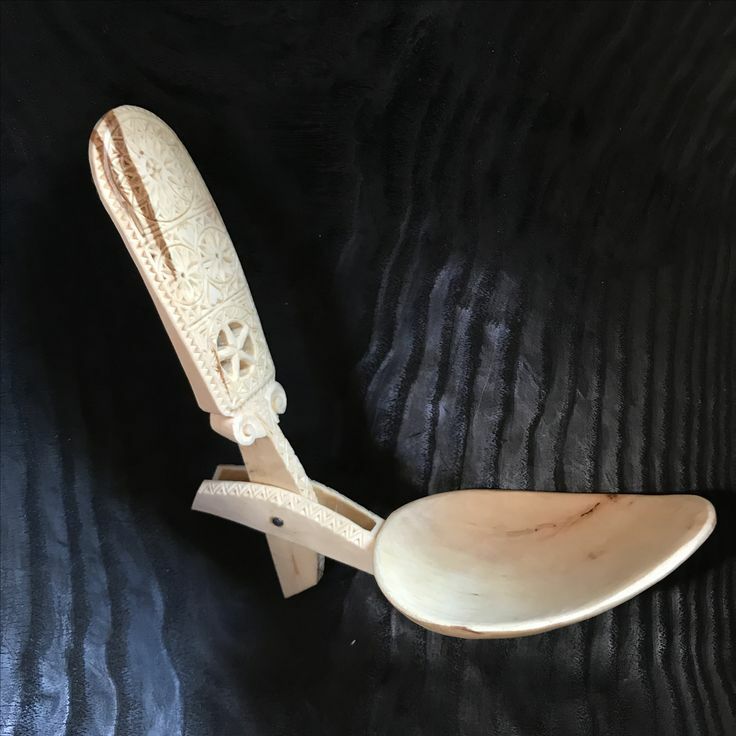 In 2017, carvers from 15 US states, Canada, and England converged on Milan to celebrate the wooden spoon, an international symbol of family, meals, and friendship. 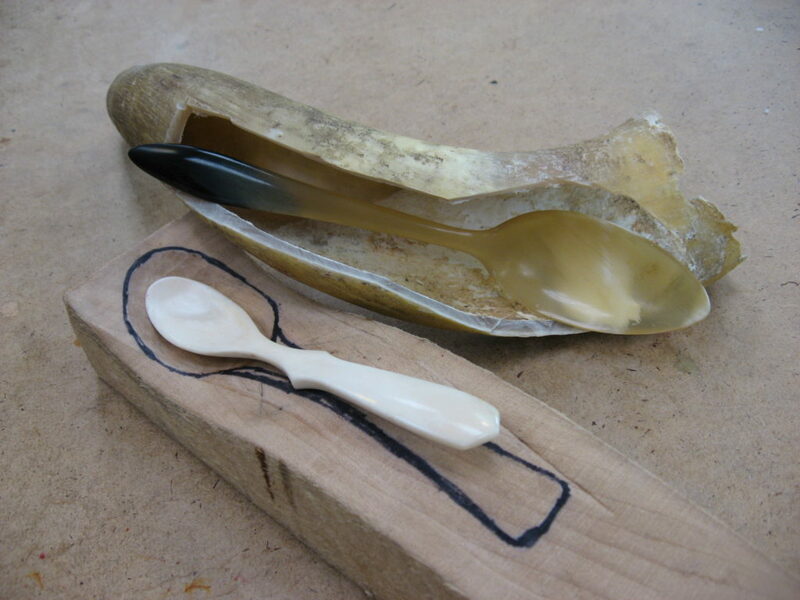 The Spoon Gathering today offers a family friendly event for those interested in wood spoon carving and traditional handcrafts. 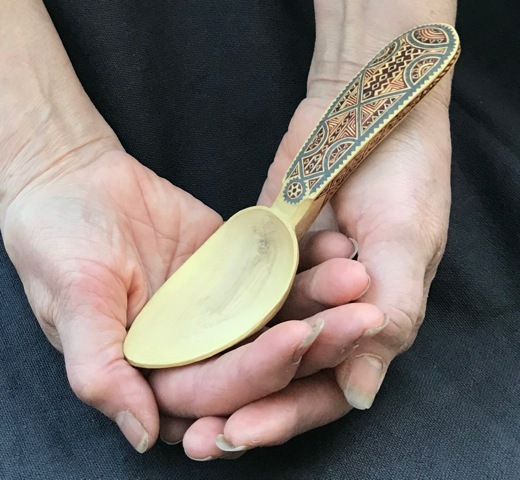 Demonstrations, workshops, and presentations are varied and are sourced from not just the world of spoon carving, but also related arts, skills, and knowledge. In past years, these have included, knife sharpening, spoon blank harvesting and shaping, wood bowl turning on a spring-pole lathe, kuksa carving, birch bark weaving, blade forging and Norwegian knife making, dying wood with natural dyes, chip carving, and kolrosing. Novices and absolute beginners are catered to and made to feel welcome. 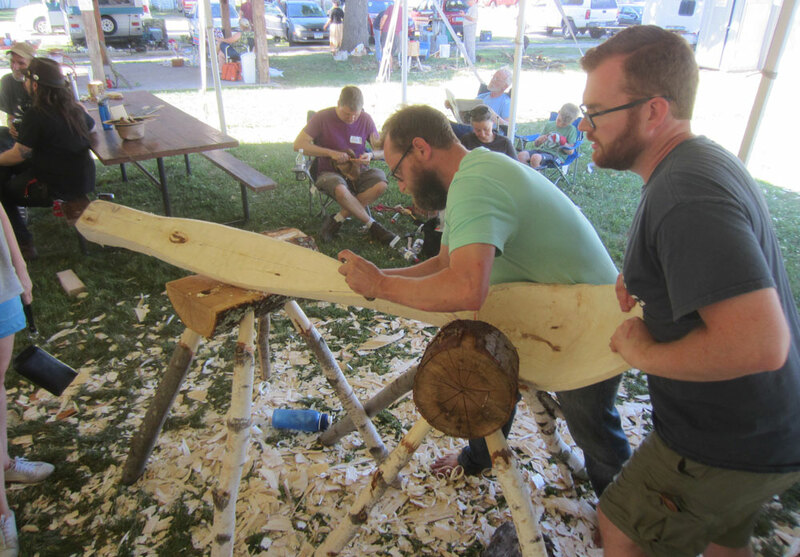 Throughout the weekend, a tent site is set up which allows beginners to access the hands on instruction of a number of Minnesota’s finest spoon carvers. Other highlights of the weekend include a spoon and related arts exhibition by the gathering attendees and a Saturday evening potluck party and get-together. Free camping facilities are available. The Spoon Gathering is a carving weekend, so bring your spoon blanks and carving tools or just come to watch and enjoy the weekend. Join us in Milan for 3 enjoyable days of carving, green woodworking, demonstrations, workshops, presentations, networking, and friendship.